Civil Engineer, Speaker, Author, Philanthropist and Prophet, Daniel Amoateng has been voted the 2018 Most Influential Young Ghanaian in the 4th edition of the annual ranking poll by leading international rating firm, Avance Media. 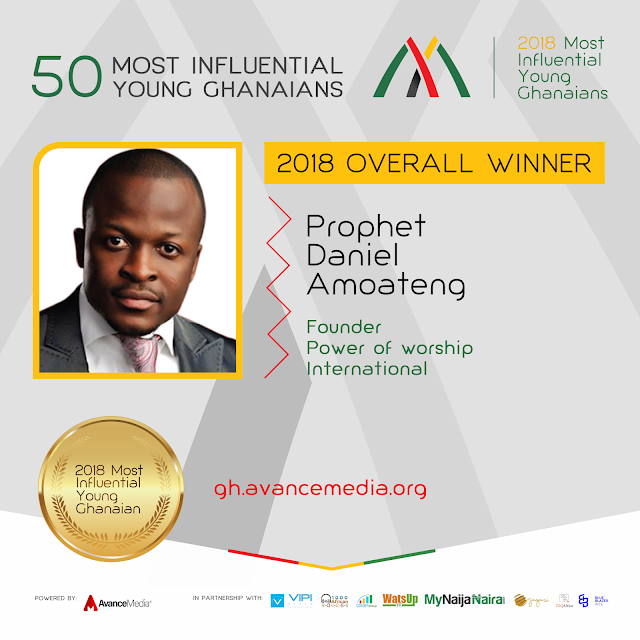 Prophet Daniel Amoateng who was nominated under the Leadership & Civil Society beat competition from other 49 influential young Ghanaians from other sectors to cling the reputable title among Ghanaians. As the founder of Power of Worship International, Prophet Daniel Amoateng who had his calling at the tender age of 13 has grown to become one of the most dynamic prophetic voices, a regular conference speaker across nations and author of bestselling prophetic books. Following keenly in the ranking are; Prophet Bernard Elbernard Nelson-Eshun, Joe Mettle, Kojo Oppong Nkrumah & Isaac Dogboe who were voted among the top 5 most influential young Ghanaians respectively. GhOne TV Newscaster, Serwaa Amihere who got the 8th position was also voted the Most Influential Young Ghanaian woman during the poll. 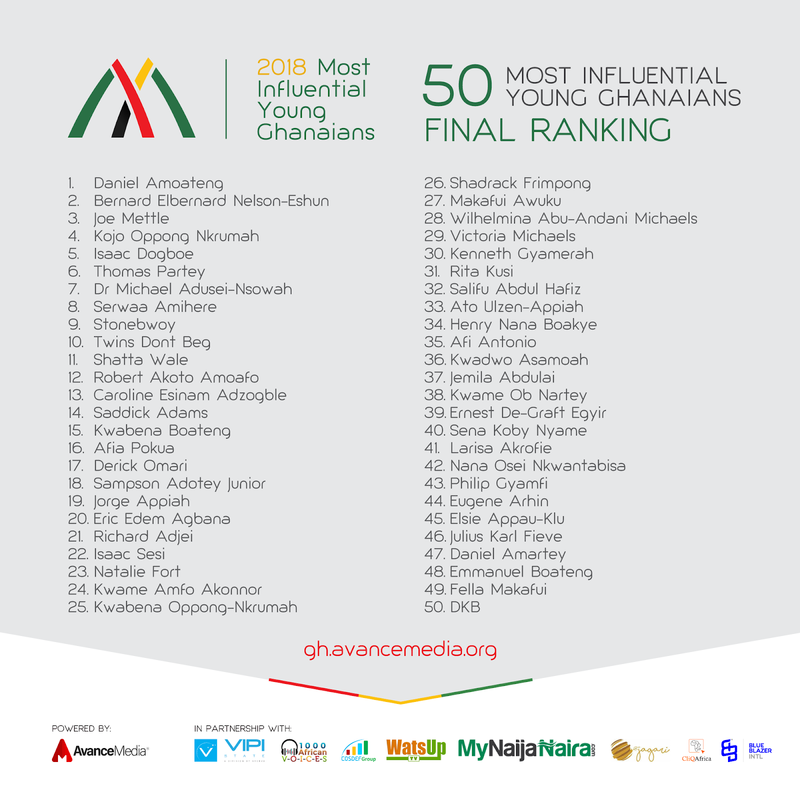 Sharing insights about this year’s polls, Prince Akpah, MD of Avance Media mentioned; the ranking was instituted to highlight the works of young Ghanaians who are contributing in diverse ways towards the advancement of development in Ghana and across Africa. Avance Media also runs same initiative in Nigeria, South Africa, Tanzania, DR Congo, Kenya & Cameroon in partnership with various organisations and is expected to release a global ranking in 2019.